Over the years we have collected a HUGE archive. 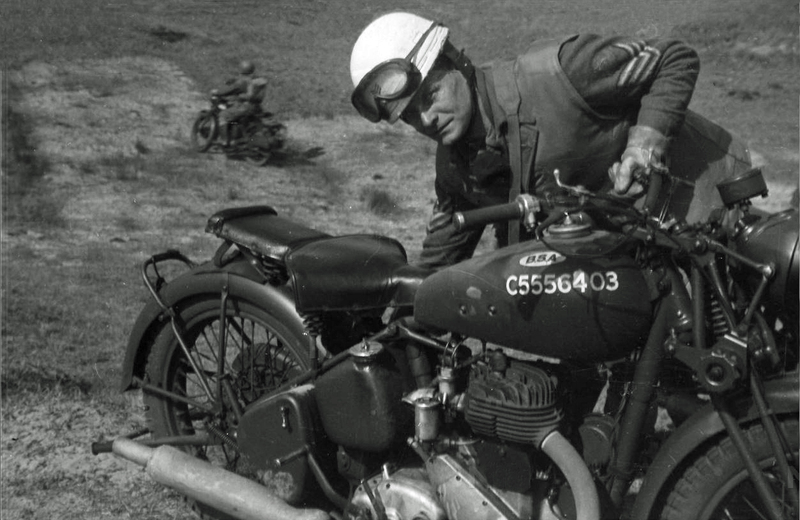 With this archive it's possible to find with the frame number the original tank number your BSA had when it left the factory. With the frame number we can also calculate the original Australian tank numbers for BSA's which they received on arrival in Australia. Australian tank numbers applied on arrival. 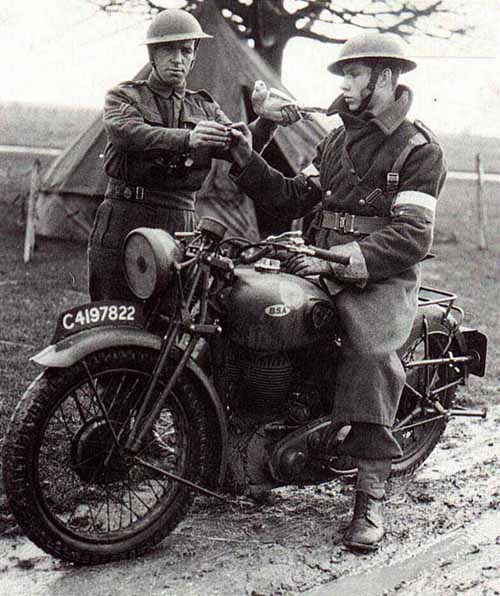 All vehicles used by the British army had an identification number. 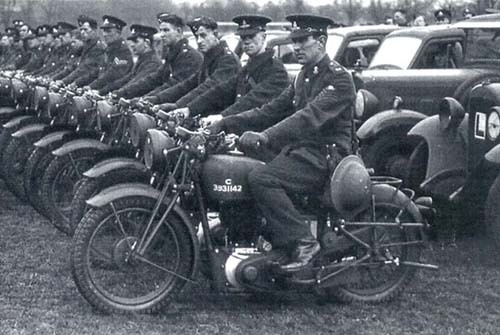 Motorcycles had the prefix "C". 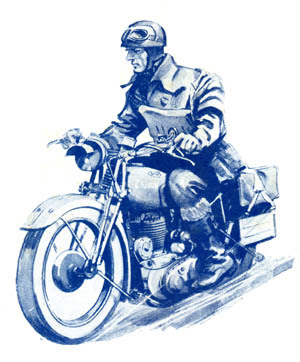 At first the number had six digits (C37xxxx) from whom the first two corresponded with the year the motorcycle was manufactured. 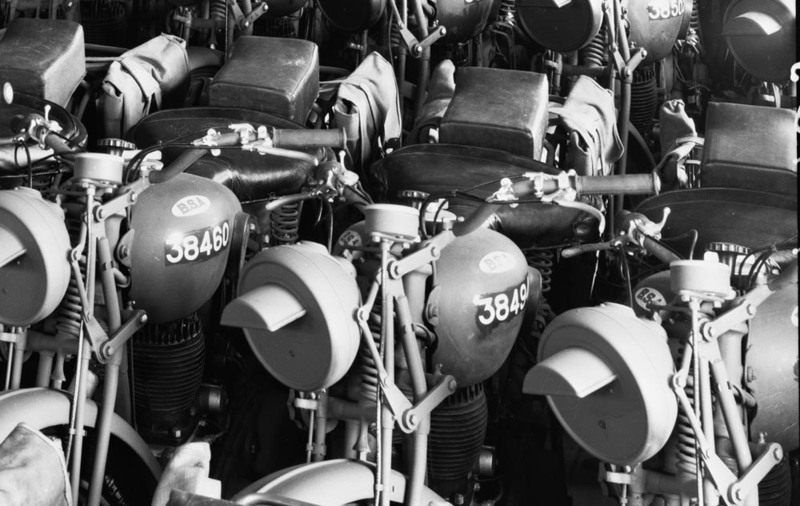 During the end of 1939 this number changed to seven digits and from 1940 there was no connection anymore with the year of manufacture. With the list below the tank C number for KM20 and WM20 motorcycles can be calculated. This list is not complete and has some irregularity's but it gives at least a fair idea of what the C number may have been back then. 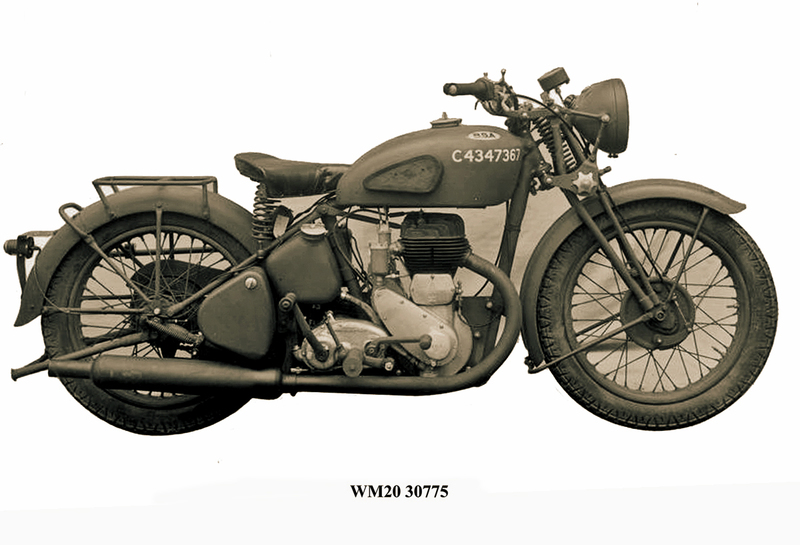 Motorcycles that where totally rebuild where normally given a rebuild identification number that started with C1400000. 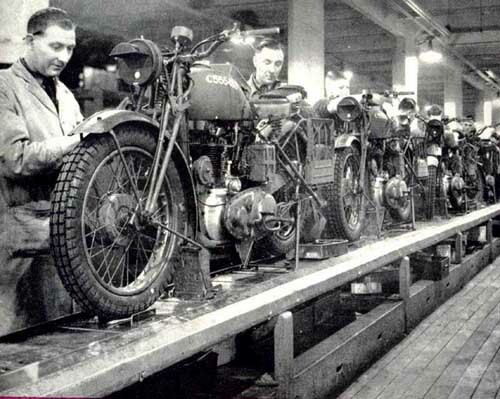 As can be seen in this 1941 factory picture, the C number just fits between the front of the tank and the tank rubber. The total length of the C number should be about 23 cm or 9 inch. The digits itself should be 1,5" x 1". There is no universal way these numbers were put on the tank, even at the factory the location could vary. 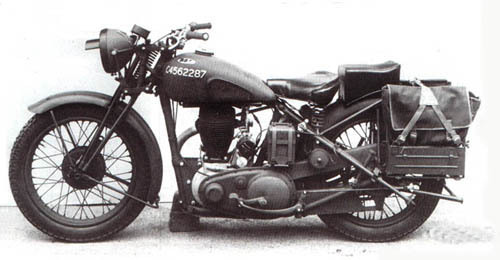 When from about 1942 knee rubbers were no longer fitted, the tank number moved a little to the back of the tank. This number has been made in photo shop with a total length of 23 cm with Arial Bolt 600 pixel and looks pretty much the same as the tank number on the picture above. Here a few more pictures with C numbers in different locations on both petrol tank and front number plate. There are pictures known were it can clearly be seen that the tank numbers were painted by hand.